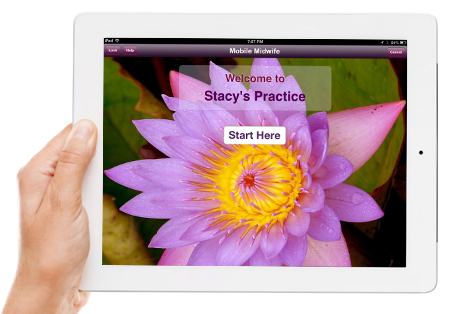 Practice Management and Electronic charting always with you in the palm of your hand. 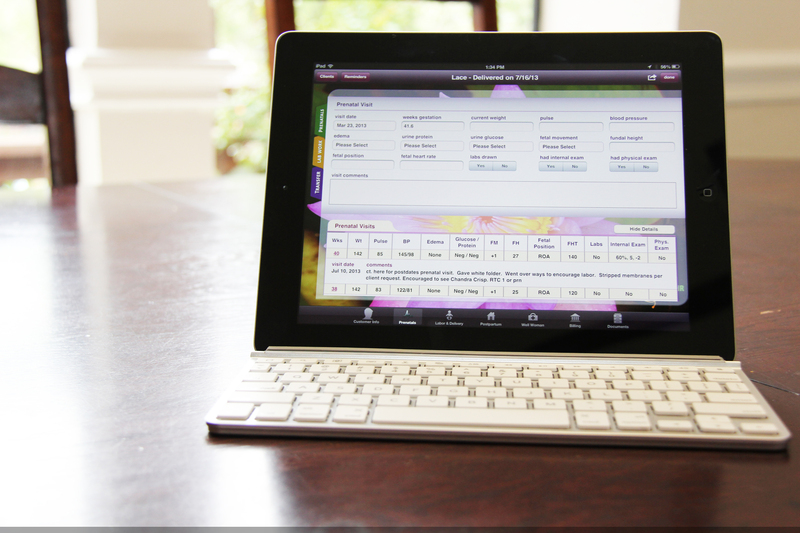 Our proprietary input controls capture everything with ease so typing is never needed. 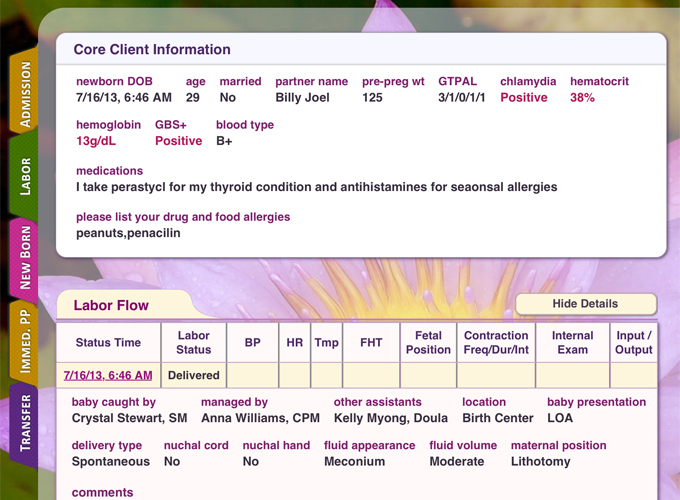 MM is designed to be transparent when charting during labor. 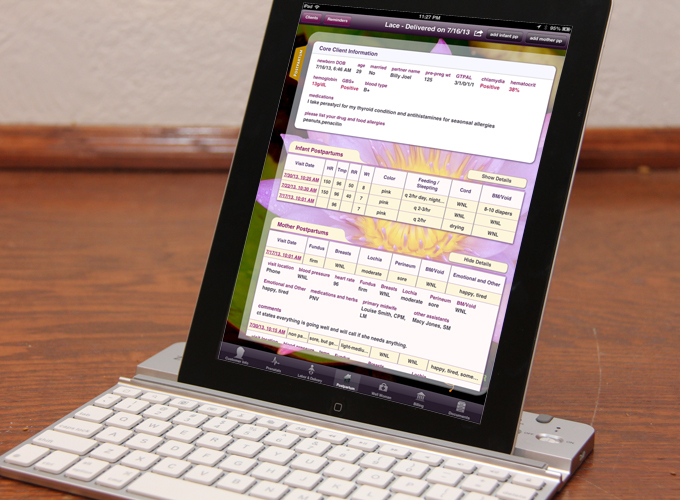 Mobile Midwife EHR is the premier electronic charting and patient health records software for the iPad. 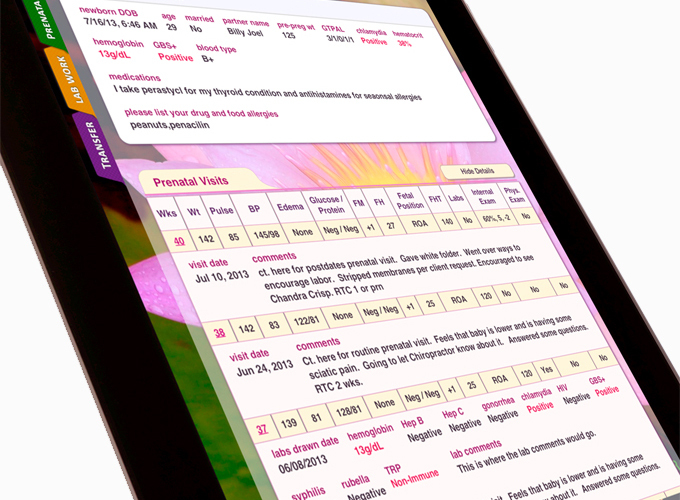 Patients fill out your forms and sign your documents from an iPad, iPhone or our web-based client portal. 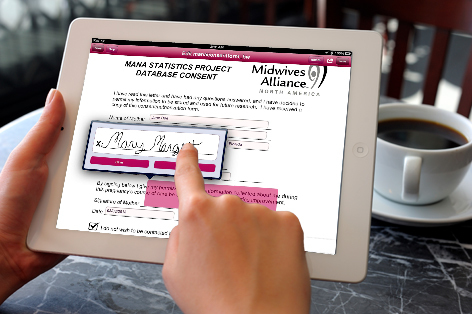 Then the Midwife uses the iPad or iPhone to record prenatal visits, Labor flow, Postpartum visits, Labs, Ultrasounds, billing and so much more. IT'S TIME TO GO PAPERLESS!!! 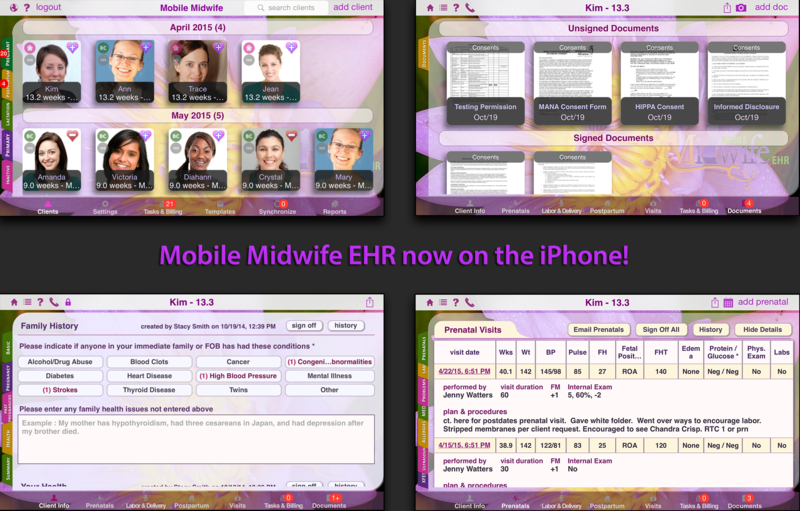 Best of all, Mobile Midwife EHR has NO NEED TO BE CONNECTED TO THE INTERNET. 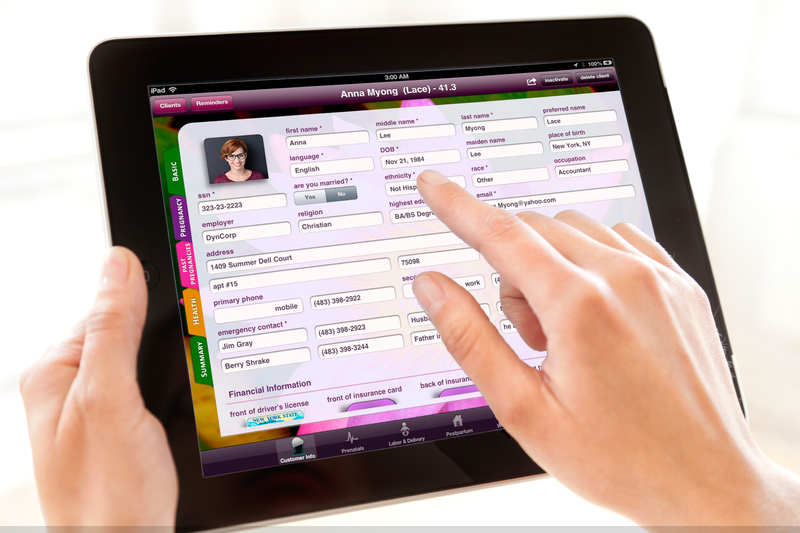 So if you need to attend a birth at a home the app will work just the same. 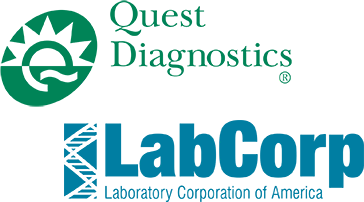 Later, once a link to the internet is detected all of your patient information will backup to the Mobile Midwife servers and other users in your practice with different iPads/iPhones will automatically get updated with your recent changes!